Do you love having the privacy of the country side, but the convenience of being only a 10 minute drive from town? If so then Branson Creek is the place to be! Branson Creek is only a 10 minute drive from Hollister, and a 15 minute drive to Down Town Branson Landing. 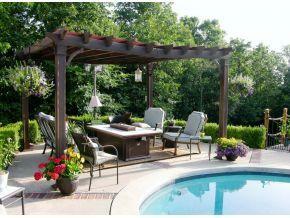 Branson creek is special in its ability to cater to every persons wants and needs. Known for its award winning golf courses Murder Rock (Golf Week top 2 out of 5 best courses in Missouri), Community Club House with many events to socialize, state of the art work out facility, and easy access to Branson’s only airport! Click here to hear some new exciting news about Fly Branson! 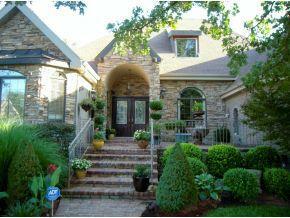 In 2011, Branson Creek was listed in the Retire Magazine as one of the Top 50 Best Master Planned Communities. Luckily, I have quite a few homes in this wonderful community. 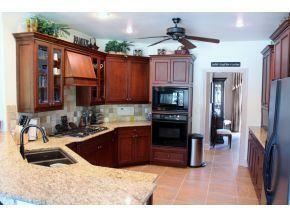 I am featuring a home that is perfect for entertaining. 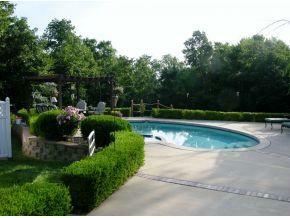 This gorgeous home on Woodhaven Circle is a one level home located in the exclusive Oak Knoll area of Branson Creek. Many upgraded features include 10ft ceilings, hard wooad floors, and top of the line security system. Exterior features include, yard irrigation, 3 car garage, a fully fenced yard, spacious in-ground pool, custom landscaping with a gorgeous fountain, and much more! Experience living at its finest in this comfortable 4 bedroom 3.5 bath home! Need more information? check out my website: www.bransonlistings.com . If you are interested in touring this home, feel free to contact me!